Most precious metals declined Monday. Palladium was the exception, surging 1.6% to close just shy from its all-time record. Gold for December delivery edged down $1, or less than 0.1%, to finish at $1,232.30 an ounce on the Comex division of the New York Mercantile Exchange. "The market is just quiet ahead of the (U.S.) mid-term elections and people are waiting to see how it is going to play out after tomorrow," Reuters quoted Bob Haberkorn, senior market strategist at RJO Futures. 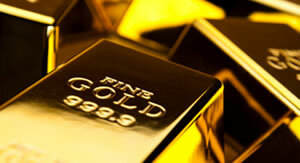 Gold futures ranged from a low of $1,228.40 to a high of $1,236.80. They lost 0.2% last week, posting their first weekly decline in five weeks. On Thursday, they settled at their highest price since July 16. Silver for December delivery declined 10.9 cents, or 0.7%, to settle at $14.647 an ounce. Silver futures traded between $14.59 and $14.78. They rose 0.4% last week. January platinum fell $6.30, or 0.7%, to $869.40 an ounce, ranging from $866 to $877. Palladium for December delivery gained $17.10 to $1,121.60 an ounce — $1.20 from matching its record. Palladium futures traded between $1,097.60 and $1,124.40. Both gained last week with platinum rising 5% and palladium climbing 1.7%. Gold rose 15 cents, or less than 0.1%, to 1,232.25 an ounce. Silver declined 8.5 cents, or 0.6%, to $14.735 an ounce. In LBMA results last week, gold dipped 0.1% while the other metal prices gained — 0.9% for silver, 5% for platinum and 1.9% for palladium.